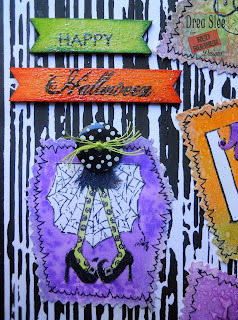 Halloween is my favorite holiday, so I'm very happy to feature these stamped and embossed images from Red Rubber Designs! 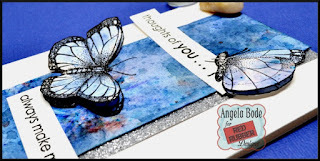 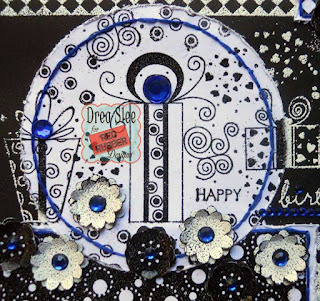 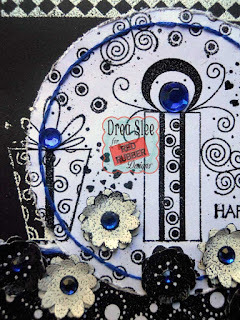 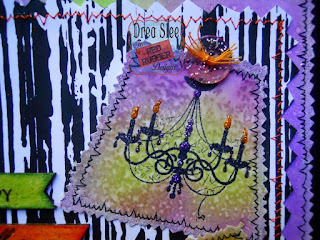 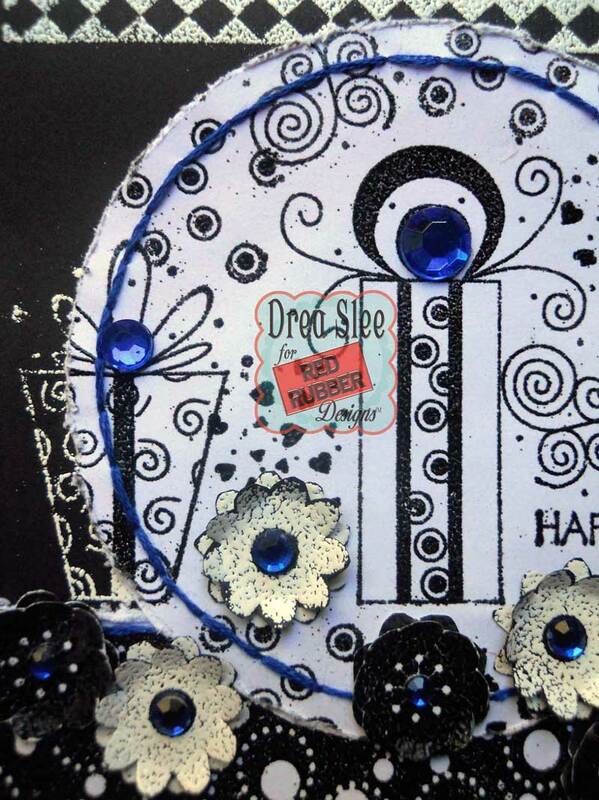 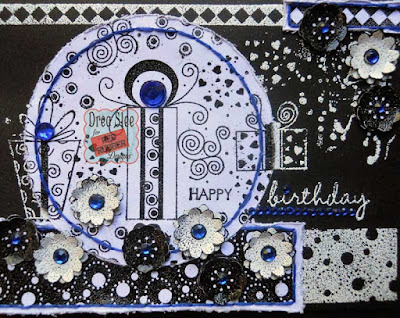 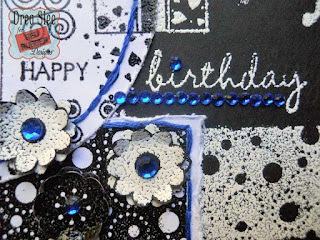 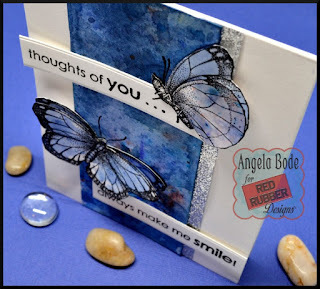 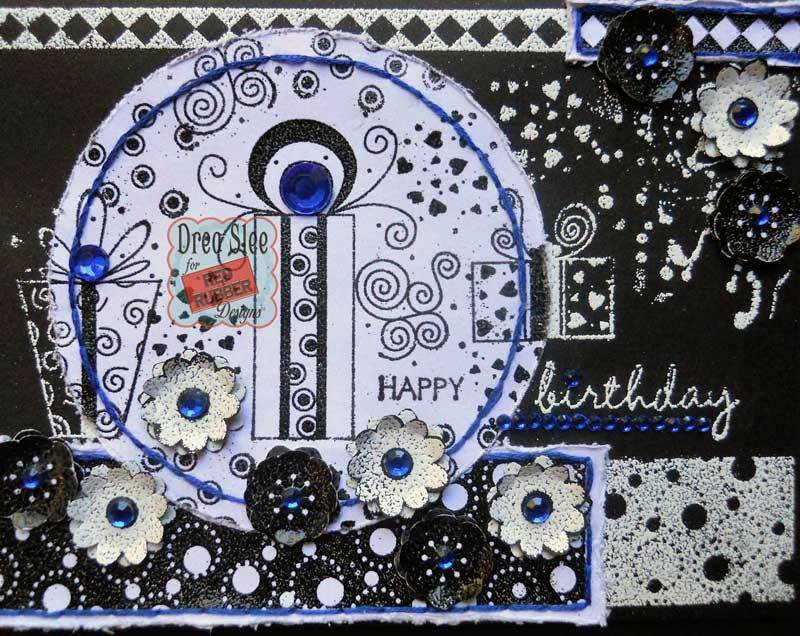 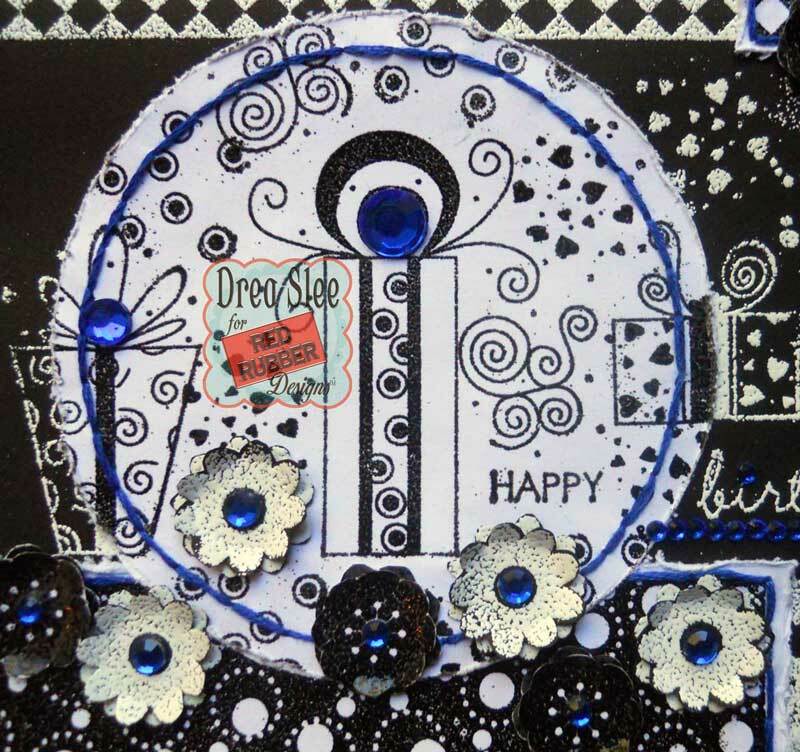 This card was made from black and white cardstock, and colored with Distress Inks. 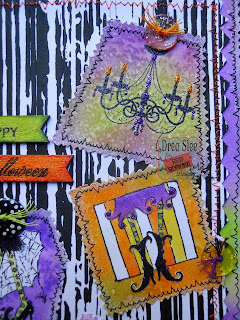 I used black gesso and a stencil to create the stripes, hand-cutting the zigzag border around it. 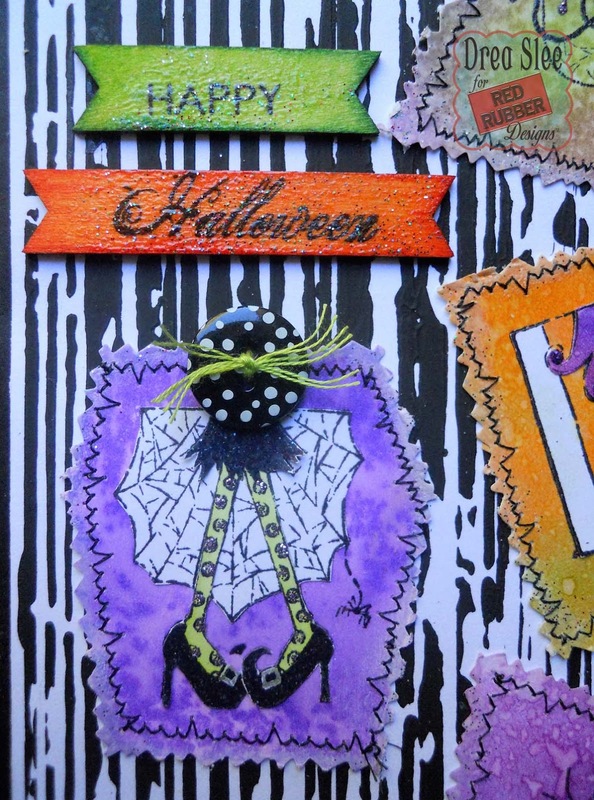 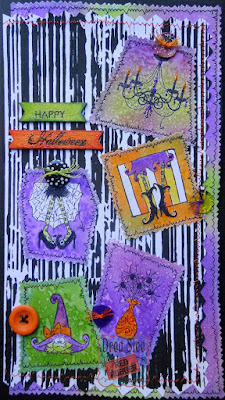 Then I made a patch for each image using the Haunted Halloween and Be Scary Cling Mounted Stamp Sets. 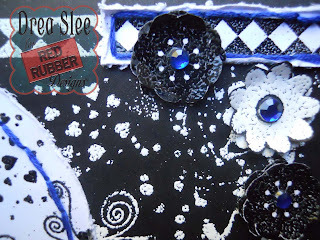 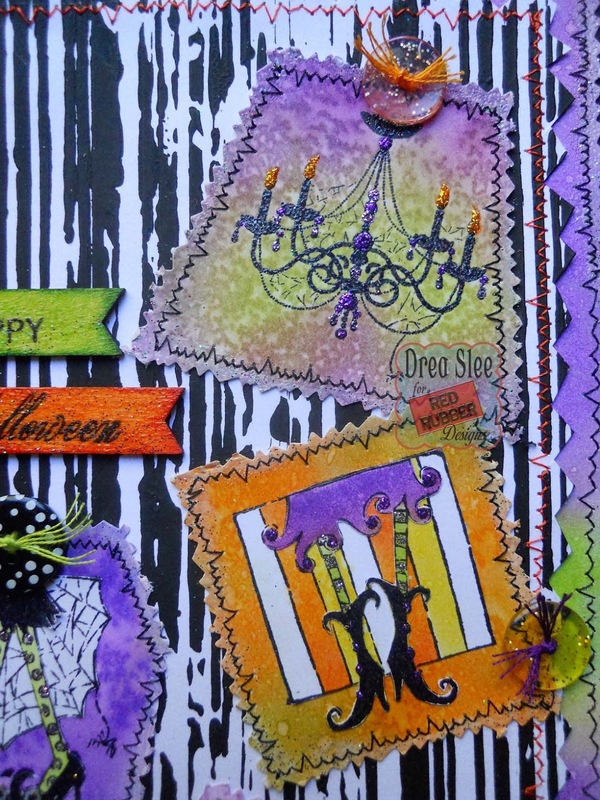 To add to the sparkle of the glittery, black embossing, I added touches of Stickles to each patch. 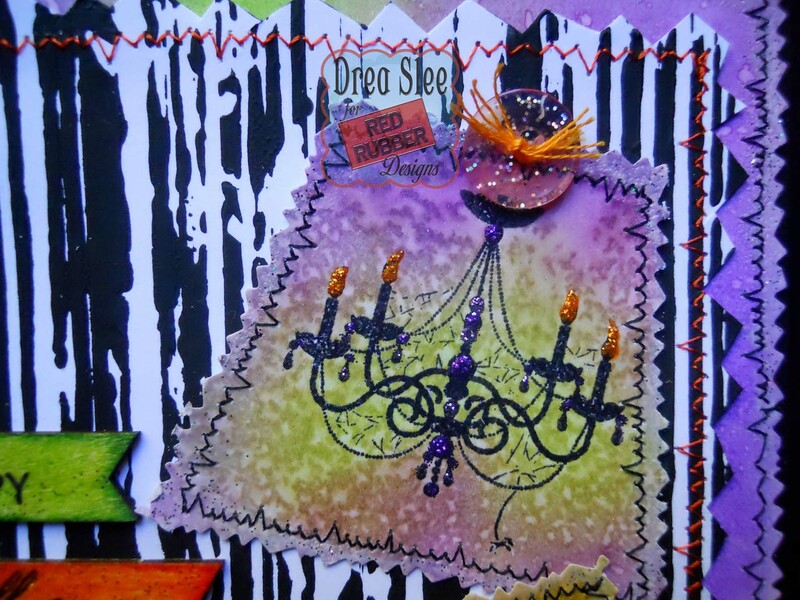 I especially love the way it "lights up" the chandelier, where I used Orange Peel, Purple, and Lavender Stickles for the flames and crystals! 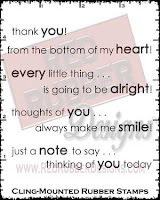 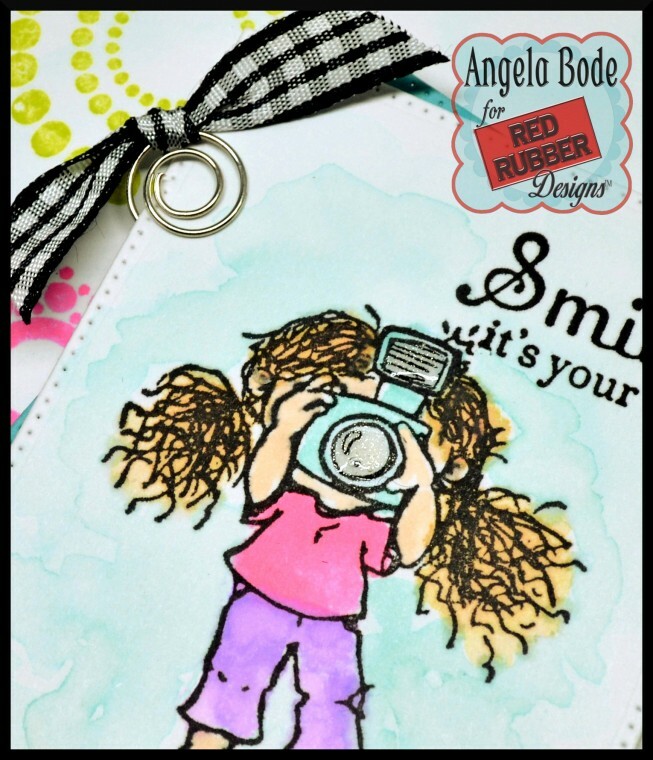 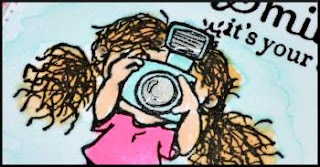 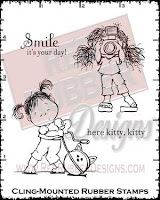 The wood banners were also colored with Distress Inks, where I embossed the sentiment combining "HAPPY" from the Contemporary Greetings Unmounted Rubber Stamp Set, with the Boo Dollar Rubber Stamp. 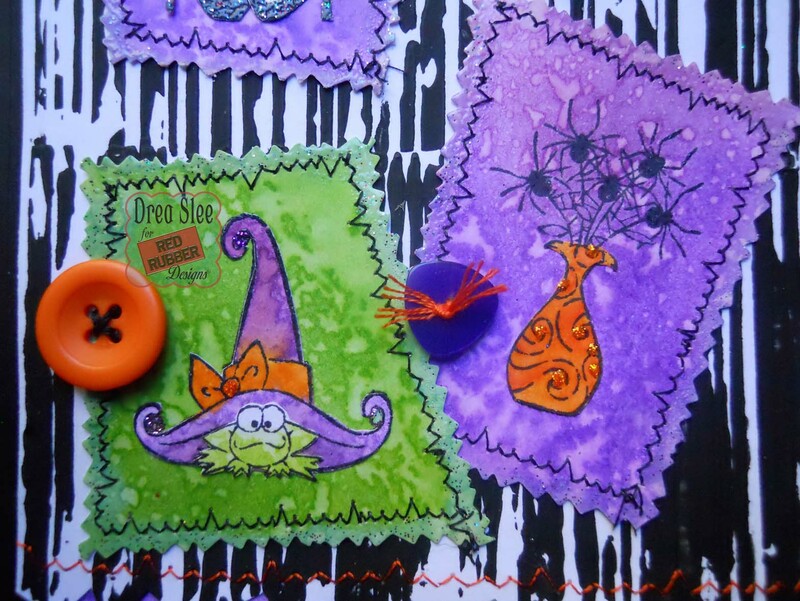 Some of the images were layered and fussy-cut, like the skirt on this witch where I curled up her skirt. 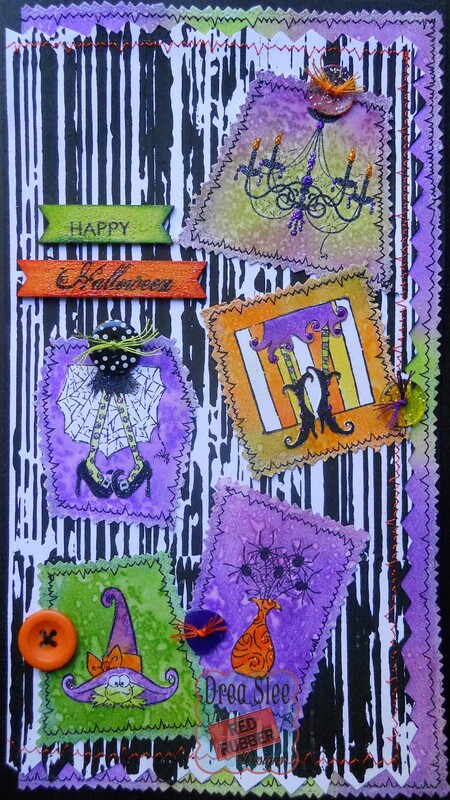 Then I used decorative scissors around the edges, finished with machine stitching in black, and orange around the stripes. 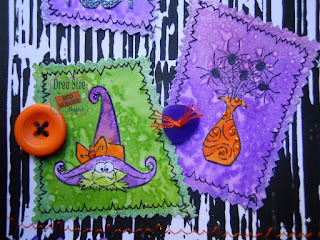 I finished it up with some fun buttons, stitched in different colors.